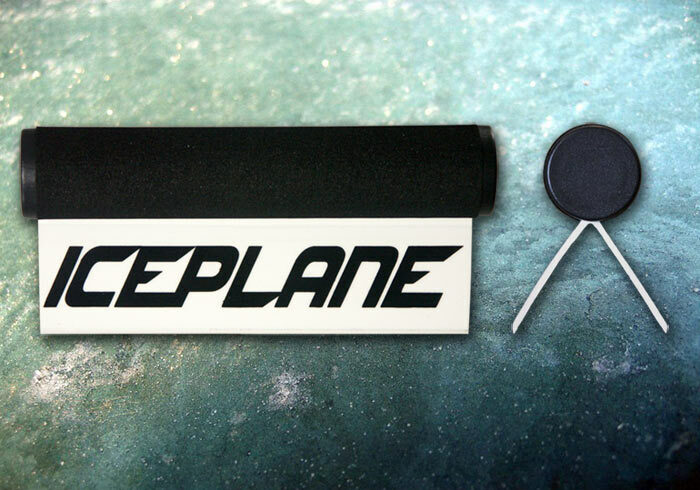 For a quick getaway use ICEPLANE. 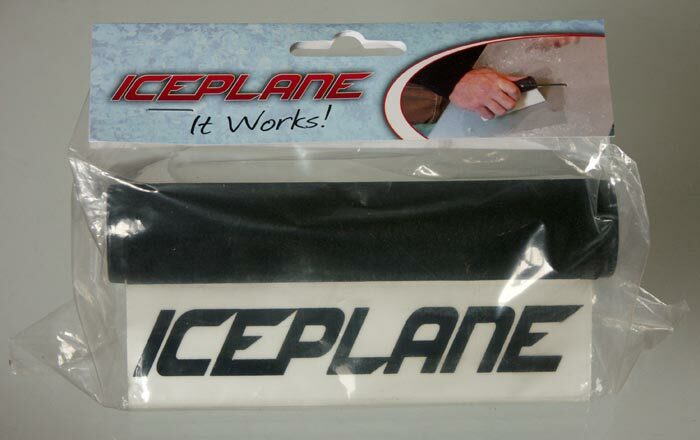 Why ICEPLANE ice scraper works so well. 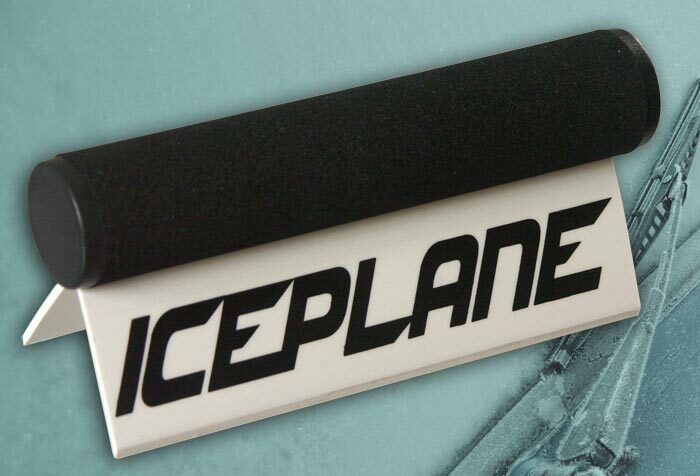 "The best icescraper on the market. You need one!" Our product labelled with your corporate indentity. Be the Star of the winning Iceplane promotional Video and win £1000! 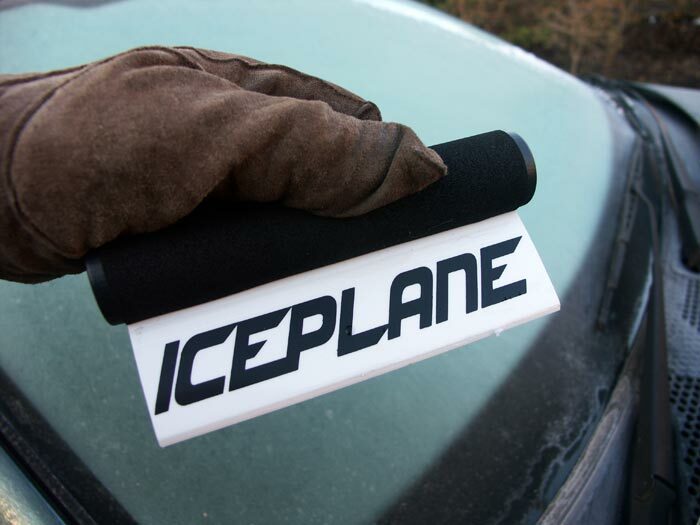 The idea of the ICEPLANE ice scraper first came to Ian Rolph, who runs his own window glazing business, one morning at his home in Stanhope in Weardale, County Durham when temperatures fell to minus 15 degrees C after a night of heavy rain. "The ice was thick on the windscreen of the van and, having no ice scraper to hand, I used a 'V' shaped piece of plastic fascia corner. It worked so well it set me thinking. It was so effective that I just knew I could turn this into something." Since that moment Ian has spent countless hours developing the 'ICEPLANE', as well as applying for the UK patent (Patent No. GB2475935) - always a long drawn out affair that, along with running his own existing business, meant every spare waking second was spent planning the launch of his own invention. He has racked his brains, not only on the design of the ingenious tool but also on things like sourcing toolmakers, manufacturers and component suppliers and then on packaging, marketing and even the barcode. From the original 'V' shaped plastic piece of fascia he worked on developing the item and added a wooden handle to the prototype. Then he decided on bending a piece of plastic to the optimum angle for scraping the ice and it became an all-in-one piece plastic extrusion. Discussions with with distributors have led to the added components without affecting patent status. "Its so simple that I'm very surprised that no one else has thought of it before now," he says. Ian's research has shown that world-wide ice scraper sales are phenomenal. He is now seeking retail outlets and is already involving local 'Dalefolk' working from home in his area in assembling the four component parts and packaging, rather than using factory space, which is great news for the local economy with many people unemployed and with transport difficulties. "People living throughout the Dale will be able to work from home assembling the ICEPLANE on a self-employed basis, and the more they want to work, the more they will be able to earn," says Ian. He has now applied for a world-wide patent that will allow him to sell abroad too and has already sourced European distributors. Ian explained the uniqueness of his product. Other ice scrapers can be likened to a chisel, whereas his ICEPLANE, with its fixed blades, acts more like a joiner's plane - hence the name. He insists it is far more effective than anything else on the market and indeed he can demonstrate it to be very every effective even with the almost instant removal of solid ice on glass. The product is also very 'green' in that it is manufactured out of fully recyclable plastic , removes the need for de-icing aerosols and there is no need to warm up the vehicle's engine to defrost the car. Ian is determined to keep production in the UK as long as demand does not exceed current capacity. In 2013, weekly production topped 10,000 units. 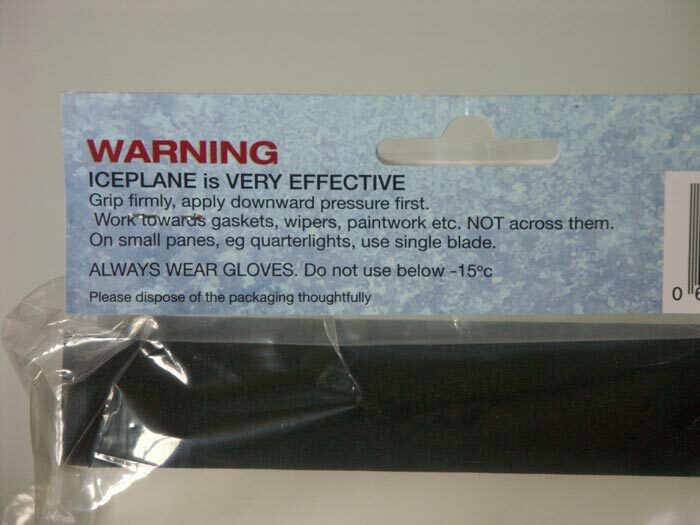 ICEPLANE is designed and manufactured in Great Britain (Patent No. GB2475935), International pat pending. 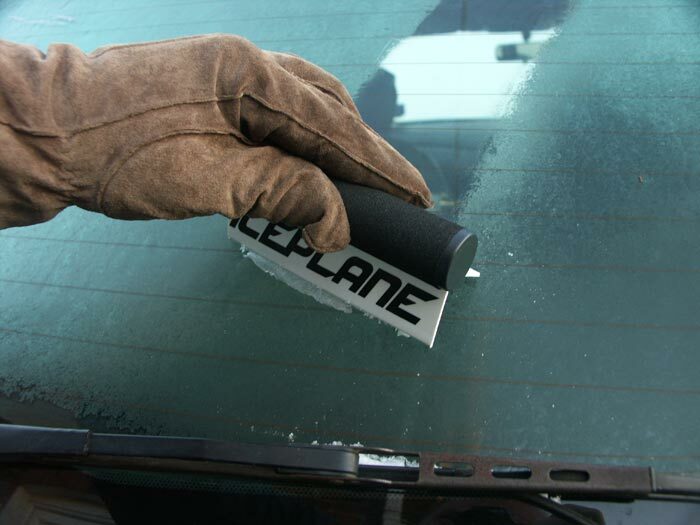 This Ice Scraper is now available for retailers and ditributors which has had a succesful launch this year on amazon. Please Contact Us for more information.